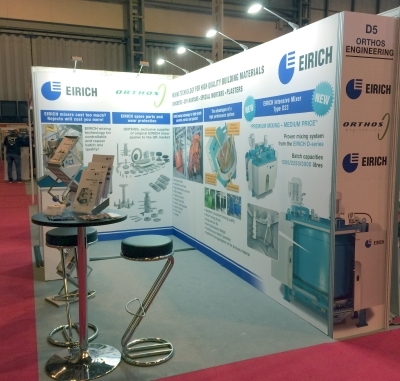 At the UK Concrete Show 2018 (21st & 22nd March – NEC, Birmingham) EIRICH and Orthos Engineering, their UK partner of over 60 years, will exhibit examples of the latest developments in concrete mixing technology, designed to achieve mix quality superior than other styles of mixer, and samples of original spare parts. EIRICH are well known in certain sectors of the concrete industry such as roof tiles and block paving. Their high shear intensive pan mixers have become synonymous with high quality end products and customer satisfaction. Since the originally invented rotating pan mixer design of the 1920s, EIRICH have continuously developed their products according to customer demand.